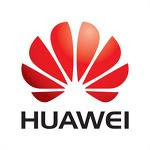 Patent Boon: Why does Huawei uses the PCT? Why does Huawei uses the PCT? The Patent Cooperation Treaty has played an important role in the international patent system since 1978 when the Treaty came into effect. It is a milestone in the history of the PCT that the number of international applications will reach one million indicating that the PCT system has been recognized increasingly worldwide. The PCT system brings so many advantages to the applicants, with particular importance to enterprises and individuals of developing countries. With the process of developing a national corporation into a worldwide business, Huawei, as a high-tech enterprise of China, has a strong desire to seek patent protection abroad for inventions. In recent years, Huawei has filed approximately 400 international applications and has kept a steady increase of almost 50% every year. Under the PCT, an applicant will file a single application in one language to only one patent office for little cost within 12 months from the date of the initial application, and then will be allowed an expiration of 30 months from the priority date to decide finally in which states the applicant wants to pursue protection. Furthermore, the PCT way offers high quality international search or international preliminary examination which provides important references for the applicant to make a decision whether to enter the national phase or abandon the application. By delaying national procedures and analyzing the search report, the applicant obtains a long period of time to evaluate the commercial value of the invention and knows the possibility of grant opportunity. Thus, through PCT procedure, the applicant will save a great deal of money if the invention is considered to have no value in any of the states. Upon said benefits of PCT, Huawei has regarded the PCT as a main way and an important strategy of foreign application. Huawei's number of PCT applications is expected to increase further in the coming years. With best wishes for more and more people knowing and using the PCT way to file foreign patents and taking substantial benefits from this admirable procedure.